In 2010, the Sandwich Historical Society initiated a capital campaign for the Quimby Park Project. 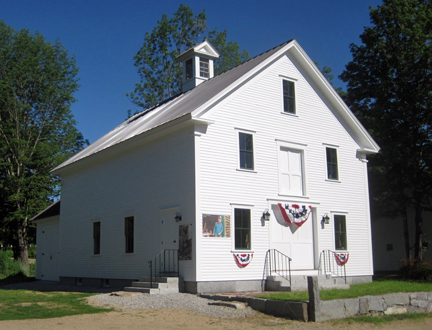 The Quimby Park Project is the cornerstone of the Society’s long-range plan to have, by our 100th anniversary in 2017, complementary facilities for our Society to meet its mission “to collect and preserve the material culture and historical record of the town of Sandwich, and to use these resources in service to the public through educational experiences and outreach to the community.” The building plan includes moving and preserving the Quimby Barn, and reconstructing the historic Forbes House structure, thereby creating a greater space to exhibit and preserve Sandwich's history. Sandwich's Concord Coach sits proudly in front of the Transportation Museum buildings, October, 2014. 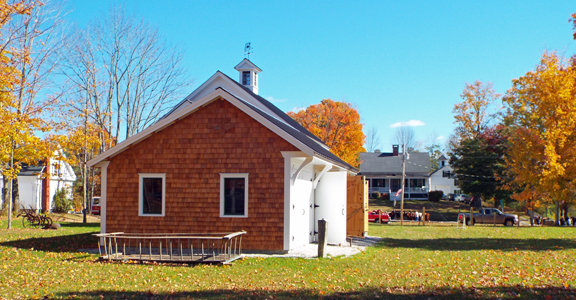 In 2014, an annex was added to the Quimby Barn property to house the remainder of the Transportation Museum large artifacts. Pine timber was donated, milled out, cut, and the post and beam building was assembled. Carriage Shed open for viewing on a Saturday in October 2014. 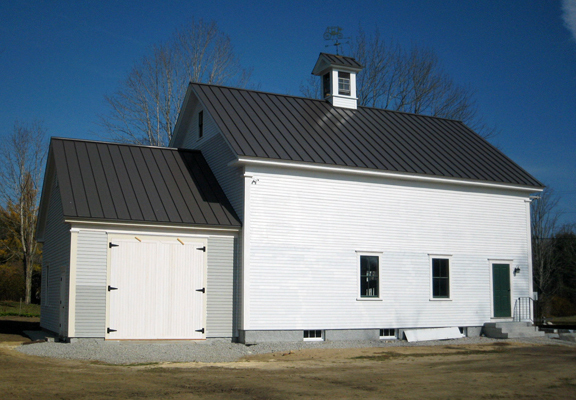 In 2012, an addition to the Quimby Barn was constructed to house the Concord Coach. The shed addition to house the coach in process in early September 2012. The Coach addition was completed just before Sandwich Fair 2012. 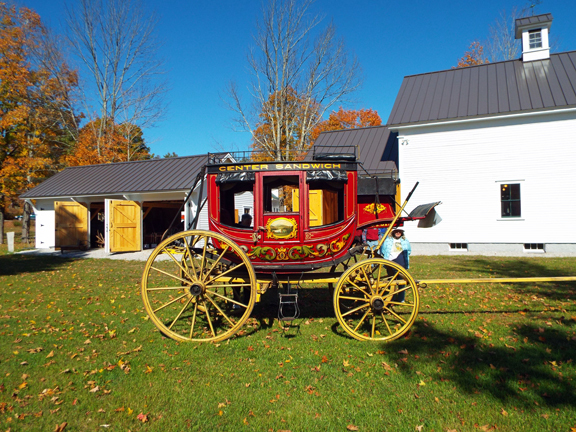 An exhibit about the Sandwich Concord Coach has been installed in the beautiful post and beam shed, which is open to the Quimby Barn Transportation Museum. The Quimby Barn was moved to its new location across the street on October 26, 2011 (click here for photos of the move). The barn move was made possible by the support of the Town of Sandwich, the Alfred Quimby Trust and the Sandwich Fair Association. The cupola was lifted into place June 28, 2012 and a coach weathervane sits on top. The Transportation Museum is open Saturdays during the summer and by appointment in the fall. 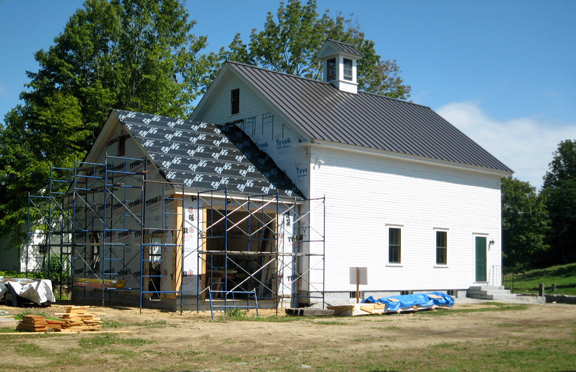 A gable-ended addition was added in September 2012 to house the Sandwich Coach. Landscaping will be completed in 2013. Donations are still gratefully accepted for this project. July 2013 during the Town's 250th anniversary and our summer exhibit theme "People, Places, and Spaces:250 years in Sandwich". 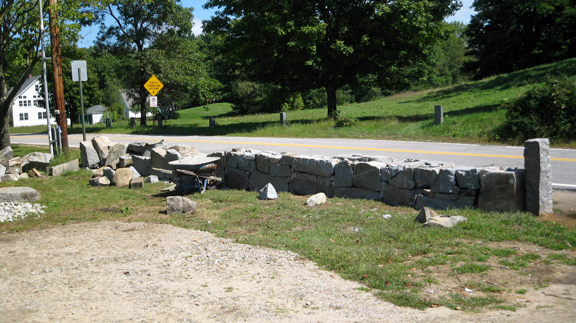 A new granite wall was built at the road's edge. Specially designed weathervane for the cupola. The final piece of this phase of the project was installing posts at the edge of the parking lot. Formerly the residence of Elisha Marston, and later C.C. 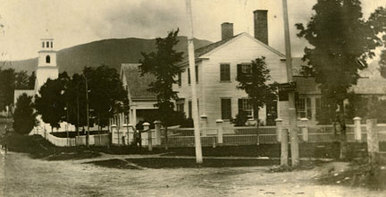 Fellows, and situated where the Corner House Inn parking lot is now, the Forbes House was moved down the street next to Red Hill River. In 2009, the house was sold by the Sandwich Fair Association to the Sandwich Historical Society with the understanding the building needed to be removed and the area cleaned up before the Sandwich Fair in October. The Society then had the 150+ year old building dismantled and the salvageable parts and timbers placed in storage. To complete the Quimby Park Project, the Forbes house would be reassembled near the Quimby Barn to provide exhibit space and artifact storage facilities.